That’s right, we’re talking about Legos. The amazing puzzle-like plastic blocks that drive creativity as well as lots of pain when unexpectedly stepped on. We've all been there, lights are dim or you're just not paying attention, when all of a sudden... BAM... foot pain from the tiny half inch block. 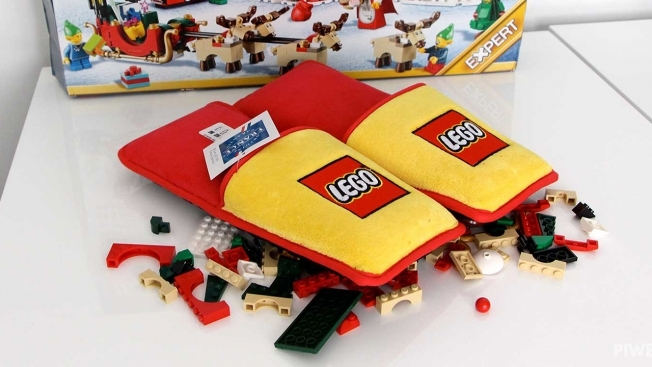 Well, we finally have some pain-relief with these specially made Lego slippers. This is the perfect accessory for the brand that brings so much joy and pain to its customers. The only problem? They're only making 1,500, so good luck getting a pair.